We have special offers available on tickets for War Horse. 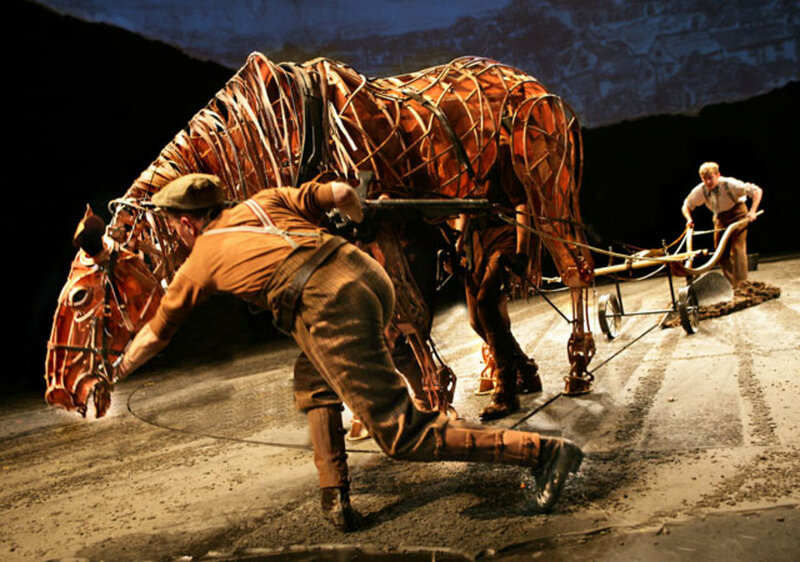 This moving adaptation of Michael Morpurgo's World War I epic War Horse returns to the theatre where it all started, the National Theatre, eleven years after its debut here to mark the centenary of Armistice Day. When his beloved horse Joey is shipped off to the front lines, Albert, still too young to enlist, embarks on a mission to bring him home. The staging is hugely ambitious, using life-size puppets for the horses, but it's mostly very effective and a scene where a tank looms over the terrified beasts is incredibly intense. Marianne Elliott and Tom Morris' production is a genuine classic, packed with terrifying cavalry charges, gruff humour and moments of rich emotion that are more than capable of reducing entire first-year classes (and their teachers) to tears. The National suggests this for children aged 12 and over, but we think it's suitable for kids as young as 10 (so long as you're prepared for them to be completely grief-stricken). What are the best dining options near War Horse London? War Horse gyms, sporting activities, health & beauty and fitness. The best pubs near London War Horse. War Horse clubs, bars, cabaret nights, casinos and interesting nightlife. Where to have your meeting, conference, exhibition, private dining or training course near War Horse. From cheap budget accommodation to luxury 5 star hotels see our discounts for National Theatre: Lyttelton Theatre hotels, including Sea Containers London from 0% off.